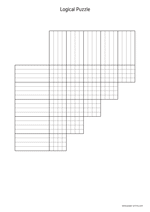 Logical puzzle 4x5 grid on an A4 size paper in a vertical, portrait orientation. Logical puzzle 5x5 grid on a letter size paper in a vertical, portrait orientation. Logical puzzle 5x5 grid on an A4 size paper in a vertical, portrait orientation. 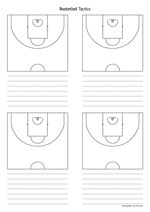 Basketball court diagram on a letter size paper in a horizontal, landscape orientation. 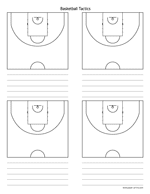 Basketball court diagram on an A4 size paper in a horizontal, landscape orientation. 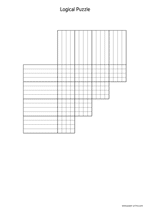 Sport squares on a letter size paper in a horizontal, landscape orientation. To keep up scores of sport games such as football. Sport squares on an A4 size paper in a horizontal, landscape orientation. To keep up scores of sport games such as football. Sign-in sheet basic on a letter size paper in a vertical, portrait orientation. 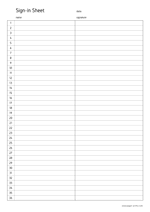 Sign-in sheet basic on an A4 size paper in a vertical, portrait orientation. Meeting sign-in sheet on a letter size paper in a horizontal, landscape orientation. Keep track of attendances at meetings, work or events and note the contact information. 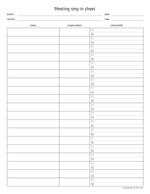 Meeting sign-in sheet on an A4 size paper in a horizontal, landscape orientation. Keep track of attendances at meetings, work or events and note the contact information. Meeting sign-in sheet on a letter size paper in a vertical, portrait orientation. Keep track of attendances at meetings, work or events and note the contact information. 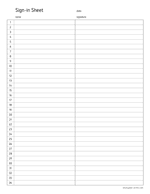 Meeting sign-in sheet on an A4 size paper in a vertical, portrait orientation. Keep track of attendances at meetings, work or events and note the contact information.